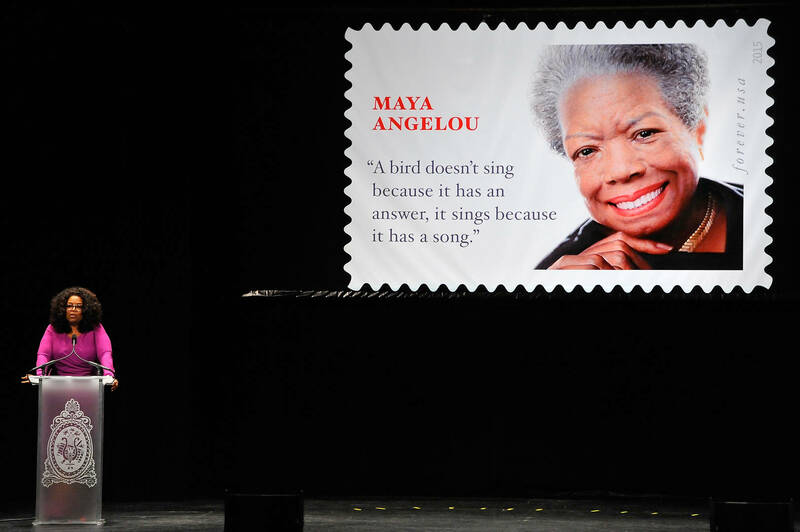 All Oprah Winfrey wanted to do was honor her late friend Maya Angelou on what would have been the legendary poet's 91st birthday, but folks just wouldn't let her be great. Earlier today, Oprah shared a tender photo of herself with Angelou. The two ladies were enjoying a laugh as Angelou sat in a chair with Winfrey on the floor, leaning her head on Angelou's' lap. She captioned the photo by writing, "Maya would have been 91 today! This is my favorite picture of us. Even in death I feel the 'unbroken continuity' of her mother-sister-friendship referenced in the Henry Scott Holland canon." She continued her remembrance by including a famed poem by Holland: "Death is nothing at all. I have only slipped away to the next room. I am I and you are you. Whatever we were to each other, That, we still are. Call me by my old familiar name. Speak to me in the easy way, which you always used. Put no difference into your tone. Wear no forced air of solemnity or sorrow." It all seemed friendly enough, but a fan slid in her comments to tell Winfrey that she should watch herself calling Angelou by her first name. "Ms. Angelou to you Oprah," a user named @polo.daily said. "You have no license to call her Maya. She will always be Ms. Angelou." In classy clap back fashion, Winfrey made time to respond to the comment. "She actually gave me permission after the 2nd or 3rd visit to her home to call her 'Maya.' Believe me I've witnessed when other folk did NOT have that permission." Winfrey and Angelou met back in 1970 and were friends for decades. Many people came to Winfrey's defense and asked the user why they felt the need to address the media mogul by her first name while checking her for doing the same. Others weren't so sympathetic to Winfrey, saying that they still have an issue with her over she hosted the After Neverland interview with the Leaving Neverland Michael Jackson accusers, Wade Robson and James Safechuck. Just hours after Angelou passed away back in 2014, Winfrey wrote a loving message about her. "She was there for me always, guiding me through some of the most important years of my life," Winfrey said. "The world knows her as a poet but at the heart of her, she was a teacher. ‘When you learn, teach. When you get, give’ is one of my best lessons from her."